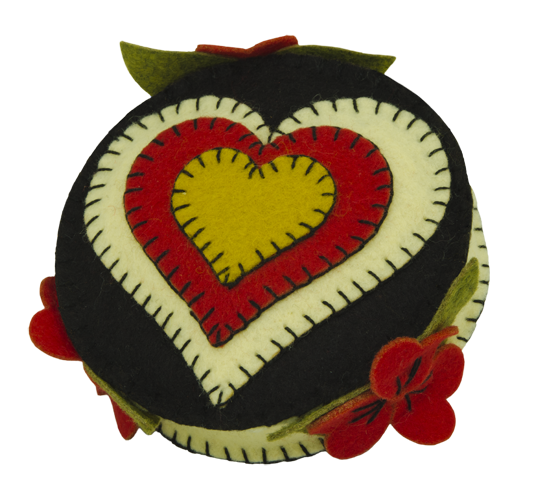 The Heart & Home pincushion is made with a three-layer puffy heart on top of a 4″ diameter base. It comes complete with fiber filling but you can also substitute ground walnut shells if you would like more weight to your pincushion. It provides a home for all of your wandering pins and needles and is a complement to our needle books and sewing kits. You can use it as a functional decoration on your sewing table or tuck it neatly in your sewing basket. 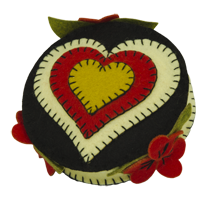 We hope you enjoy our Heart & Home pincushion kit.